Contemporary Pagan Studies and Religion and Migration Unit and Religion and Popular Culture Unit and Religion, Film, and Visual Culture Unit and Religion, Media, and Culture Unit. American Gods. I was unable to attend this intriguing roundtable discussion inspired by Neil Gaiman’s novel, but I wanted Pagans to know that it took place. Magic in the Time of the Tower: Witchcraft, Activism, and Political Resistance. This panel explores various aspects of political activism within the contemporary pagan and witchcraft communities. Topics and issues discussed will include mass protests organized across social media, controversy among pagan and witchcraft traditions regarding the appropriate use of magic and spellcraft in political contexts; the influence of popular media texts upon the lexicon and imagery of contemporary pagan activism; and the presence of witchcraft culture in the current political climate. « Peg Aloi – “We Are the Weirdos, Mister!”: The Re-emergence of W.I.T.C.H. and a New Generation of Media Witches. The re-emergence of the late 1960s radical feminist group W.I.T.C.H. (The Women’s International Terrorist Conspiracy from Hell) has been a dramatic and attention-getting presence in the current climate of political activism. This paper will explore the cultural underpinnings of that group and its use of popular Hollywood imagery of witches (from The Wizard of Oz) to attract media attention, as well as the more recent proliferation of media-based portrayals of witches (like those in Bewitched and The Craft) that inform contemporary political activism within the pagan community and in the wider culture. The significance of media portrayals of witches for both practitioners and laypersons will be discussed, as it relates to both positive and negative developments within the current political zeitgeist. I always find this kind of presentation fun. From my days when I was deep into the movement called Second Wave Feminism, which was before I found the Craft so was not yet a Witch myself, I well remember the Women’s International Terrorist Conspiracy from Hell. To discover that contemporary young women find inspiration from WITCH warms my heart. My notes are scanty, but I know that Peg mentioned repressed memory therapy, likely relating to the “Satanic panic” of the 1980s. I was kept abreast of much of this as it unfolded by way of my friend Don Frew, who was very involved because of its mistaken association with Wicca. She also cited a 1977 writing by Cheri Lesh. When I heard that, my ears perked up, because Cheri Lesh is a woman I’ve known since my first involvement in Witchcraft. Her professional name, which is also her Craft name, is Cerridwen Fallingstar, and she was my sponsor when I took initiation vows. It’s a strange feeling when the writings of someone you know in an other-than-academic context are cited, and you know this person well. The revival of WITCH, whatever the acronym means today, relates to the phenomenon begun in Minneapolis by Steve Posch and manifested beyond his home turf, of besom brigades. Besom brigades are drill teams of black-hatted Witches using brooms. See photo. « Sabina Magliocco – Witchcraft as Political Resistance: Magical Responses to the 2016 Election. Soon after the Presidential election of 2016, instructions for magic spells to stop the actions of Trump and his administration began to circulate on social media sites. They have continued to spread throughout the first months of his presidency, sometimes going viral and being adopted by non-Pagans. This paper examines the emergence of these spells and responses to them within and outside of the community of contemporary Pagan practitioners. It explores why they emerged at this historical juncture as well as the reasons for their appeal both within and outside of magical communities, arguing that they exist as a performance of resistance that allows the expression of oppositional feelings at a time of high anxiety. It also uses them to explore the complex attitudes towards magic, power, and ethics in the belief systems of contemporary Pagans. One can count on the fact that Sabina’s presentations are clear, thorough, and interesting, and this one was no different. The Craft community in which I have my roots, which I call my matrix community, has always had a strong political aspect. 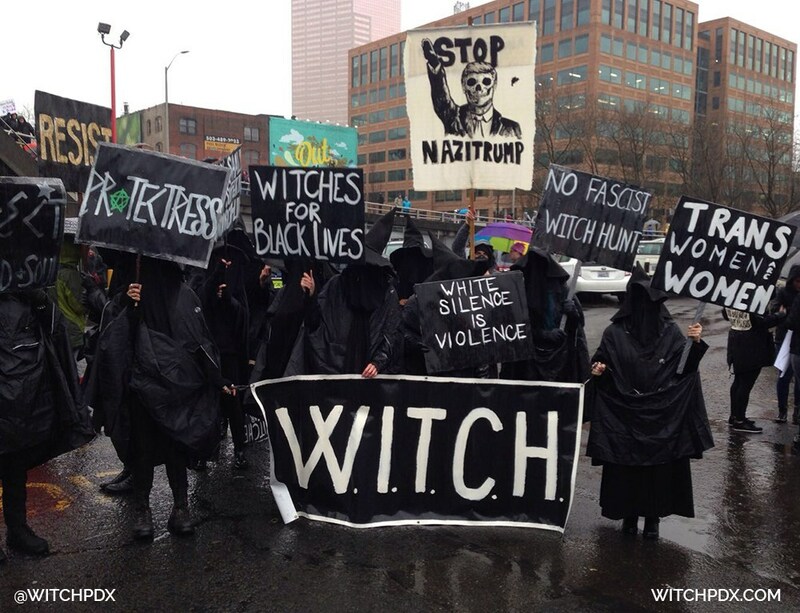 Witches in that tradition frequently find themselves front and center of progressive political activism. Needless to say, in today’s political climate activism is strong and growing. Witness Black Lives Matter, the Women’s March of January 2017, and current youth-led activism around gun violence. Sabina spoke of the phenomenon of the urge to hex Donald Trump that swept through Witchen communities in the wake of his election. The most common of these spells were “bindings” intended to thwart his efforts. She credited these efforts, whether carried out or not, as a means of creative expression and anxiety relief. This cultural episode also stimulated ethical discussion around the meaning the Witchen dictate of “Harm None.” I have mixed feelings about political spellwork – its ethics, its effectiveness and the wisdom of employing it. There are pages and pages about political spells in the wake of the last presidential election and its fallout. « Egil Asprem – The Magical Theory of Politics: Meme Magic, the Cult of Kek, and How to Topple an Egregore. The election of the 45th President of the United States set in motion a hidden war in the world of the occult. From the meme-filled underworld of 4chan’s alt-right-dominated imageboards to the publicized “binding spell” against Trump and his supporters, the social and ideological divides ripping apart the American social fabric is mirrored by witches, magicians, and other esotericists fighting each other with magical means. This paper focuses on the emerging online esoteric religion of the alt-right, the increasingly (re-)enchanted notion of “meme magic,” and the open confrontation between different magical paradigms that has ensued in order to (1) analyze the competing views of magical efficacy that get sharpened as material and political stakes appear to increase; and (2) theorize the religionizing tendency of the alt-right as a partly spontaneous and partially deliberate attempt to create “collective effervescence” and galvanize a movement around a (in Weberian terms) distinctly non-legalistic and non-traditional charismatic authority. This talk was undoubtedly one of the strangest I’ve encountered at this venue. 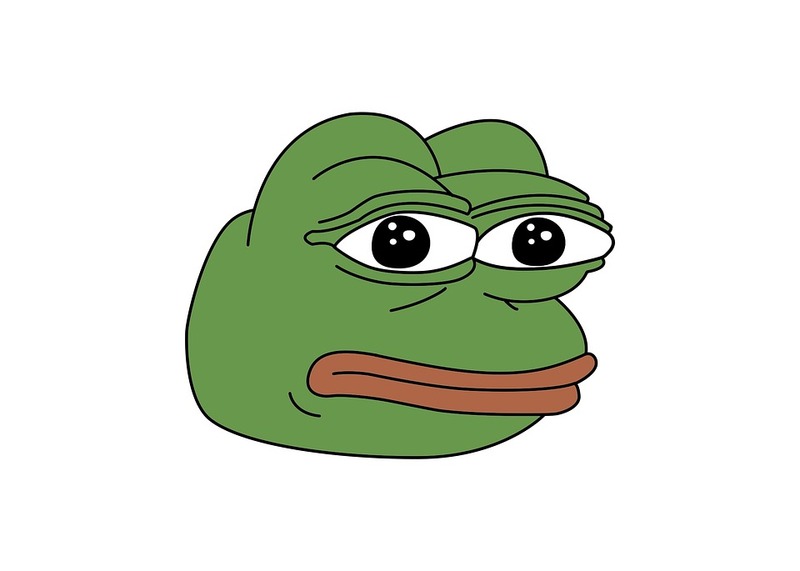 I had heard of Pepe the Frog and had seen ugly images of him, but I generally ignore cartoon-y things. It seems that Pepe the Frog generated The Cult of Kek , Kek being considered the Egyptian god of Chaos, as well as being part of the “Holy Trinity” of memetic entities: Kek the Father, Pepe the Son, and Pek the Holy Ghost. Egil mentioned a right-wing Rosicrucian named David Griffin and his colleague (and perhaps wife) Leslie McQuade. He also mentioned a Michael Hughes in connection with the rise of binding spells against Trump. Michael Hughes being a common name, an Internet search arrived at a Michael M. Hughes. It turns out that we have dozens of friends in common. This Michael Hughes seems to be all on board with hexing Trump, with #BindTrump and #MagicResistance on his FB page. A part of this general group of related phenomena is the collectively created “thought focus,” or Egregore. The spell uses an unflattering photograph of Trump -- Gods know there are many from which to choose! – a sigil of some kind, and an orange candle. I’m sorry to say that lo these many months later there remains a need to curb the President’s ignorant and ill-considered behavior.